Pack of 2 Black/ White Blouson T-Shirts is rated 4.0 out of 5 by 4. 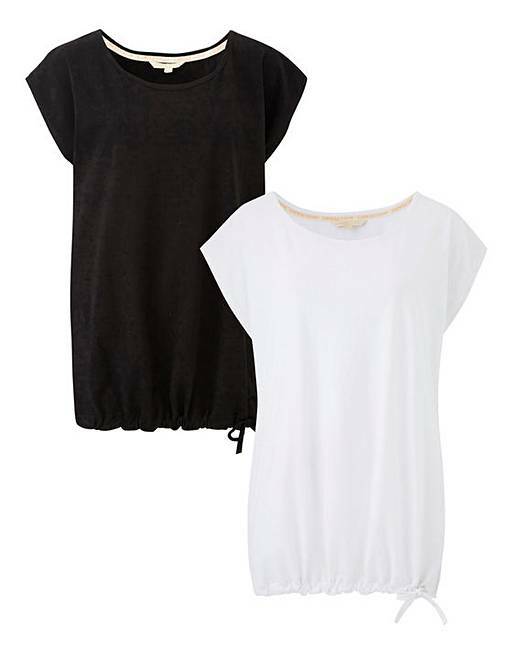 This two pack of longline tees are perfect to wear with your favourite leggings. One with a grey base and contrasting black mesh detail, the other with white. Main: 50% Cotton, 50% Polyester. Mesh: Polyester. Rated 5 out of 5 by Angie from My tops Lovely material. Good fitting very comfortable .